Jennifer comes to Opsis as a Senior Project Manager with more than 17 years of architectural experience. Her enjoyment of building personal relationships is supported by her ability to listen and work well with others. 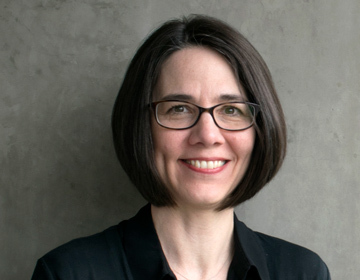 Prior to joining Opsis, she worked for design and community-focused architecture firms within the Portland area. Holding two degrees from the University of Oregon, her Master of Architecture degree is complemented by a Bachelor of Arts in Art History. Continual exposure to the arts was supported throughout her life within her family, influenced by her father who was a printmaker, painter and professor. Architectural history grew as an interest through art history and fine arts studies, from which architecture further developed as a natural focus. Supporting projects though project management provides her with opportunities to contribute to the greater whole in a meaningful way. When Jennifer isn’t working toward project efforts, she’s spending time with her family, which currently encompasses support of her children’s endeavors ranging from basketball to music. Rare down-time includes cooking, reading, and fabric arts.